The HP8 hydraulic power unit is engineered for continuous professional use and is optimized to deliver ideal flows and pressures to both Type 1 and Type 2 hydraulic tools. 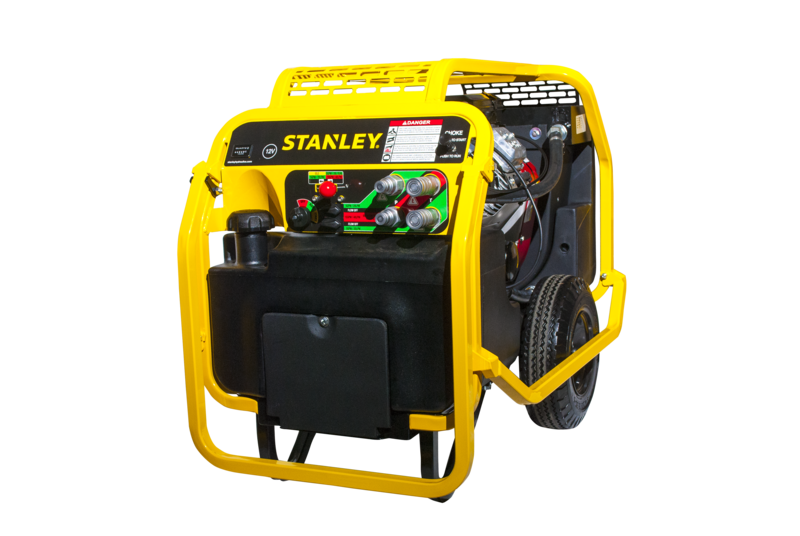 Its powerful 18 HP Briggs & Stratton engine and best-in-class cooling system deliver the power and heat rejection pros need to keep tools working uninterrupted all day in all types of conditions. The HP8 features an intuitive throttle selector which makes changing flow rates very easy. Its feature-rich, dependable operation make the HP8 the workhorse of the industry. The HP12 hydraulic power unit is engineered for continuous professional use and is optimized to deliver ideal flows and pressures to both Type 2 and Type 3 hydraulic tools. 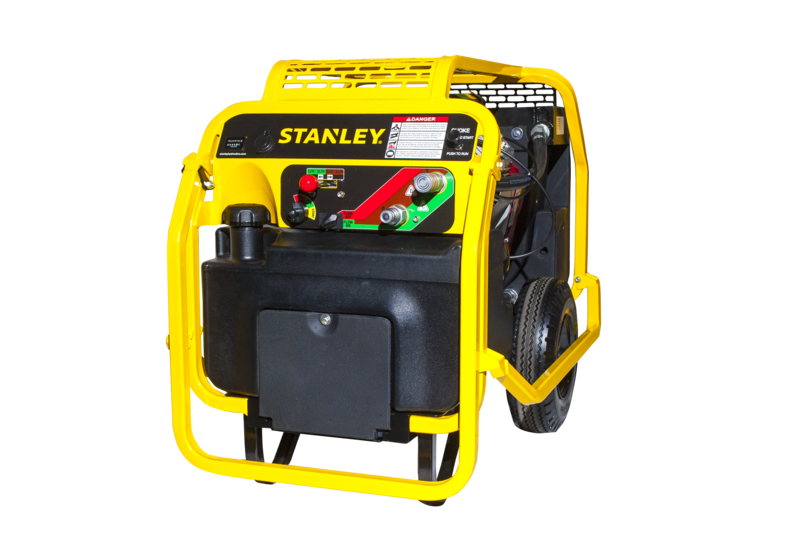 Its powerful 23 HP Briggs & Stratton engine and best-in-class cooling system deliver the power and heat rejection pros need to keep tools working uninterrupted all day in all types of conditions. The HP12 features an intuitive throttle selector which makes changing flow rates very easy. Its feature-rich, dependable operation make the HP12 the industry choice for high-flow applications. Heat rejection capacity exceeding 5 hp. Hydraulic and engine oil filter. HP8BD 330lbs / 150kg 36in. / 91cm 23in. / 59cm 29in. / 74cm Briggs 8gpm / 30lpm 2000psi / 140bar 12V Acc.